Continuing our Hayley Paige reveal. Next up is Pippa! Pippa is so amazing that we have decided to have it be the dress of the month! Read on to see why! 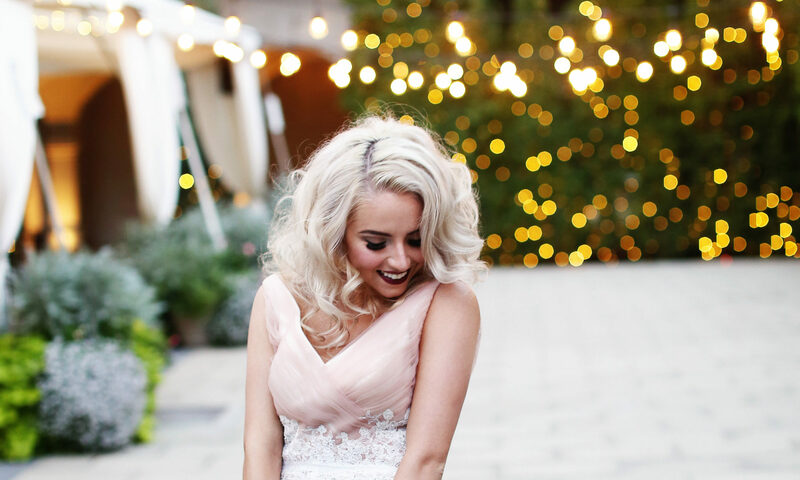 As you know, Hayley Paige is famous for her fabulous, flirty ball gowns and Pippa definitely fits that bill. 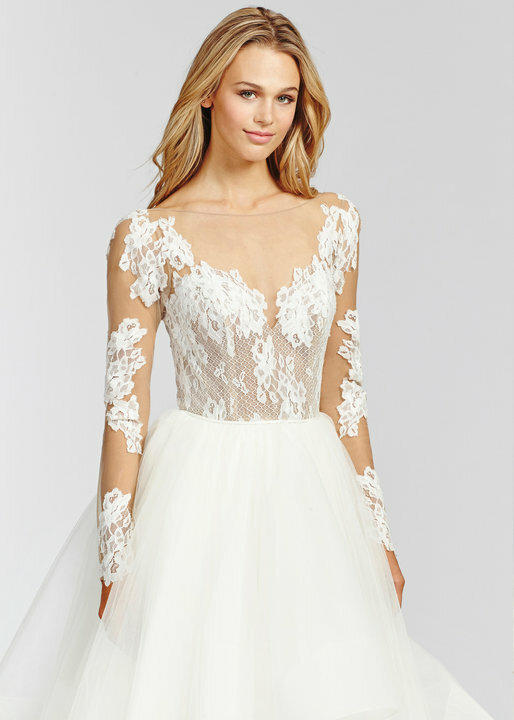 Layers and layers of tulle and a sheer lace bodice are what create her unique charm. 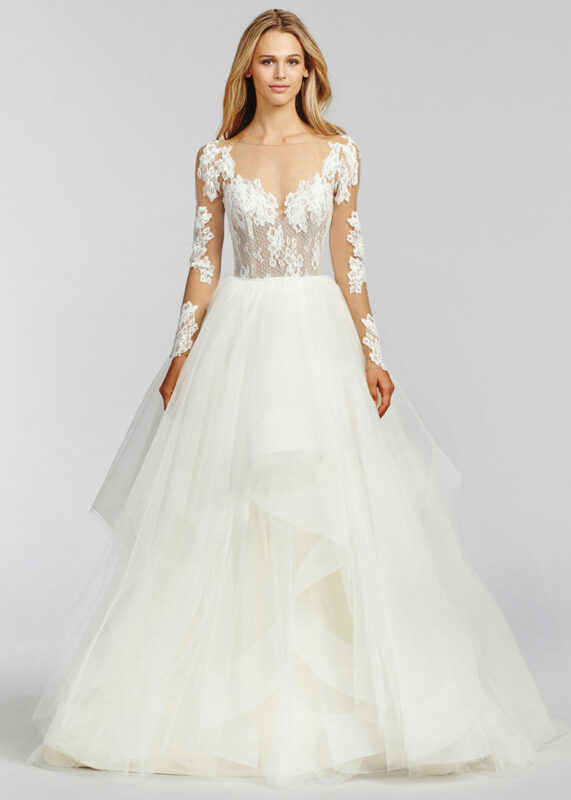 Boho Factor: 4/5 – Its unusual for a ballgown to have such a bohemian vibe but Pippa pulls it off by adding a sheer bodice with a combination of organic laces on top of a voluminous skirt. The little details are where Pippa truly shines! 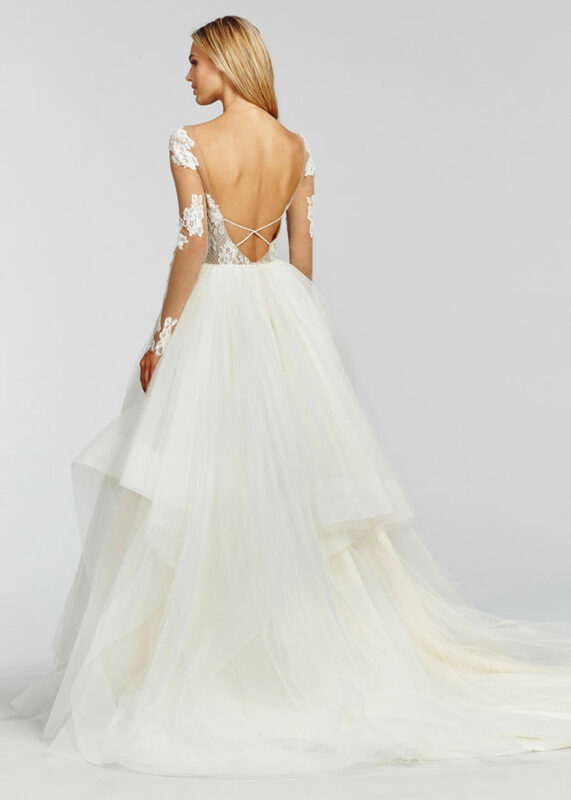 ~The back has crisscrossing straps that are dainty and fabulous. ~The lace on the sleeves is perfectly placed to flatter and elongate the arm while still allowing for free range of motion. ~The skirt is accented with horsehair trim to add body and visual interest to the soft tulle. Pippa is a gown that fits with the trendy vibe of the times but also has a classic style that will never go out of fashion. We are getting down to our last few Hayley Paige gowns! Check back to see them debut. Previous PostPrevious A Bitsy Bridal Anniversary!